The Hirola species of antelope is currently classed as critically endangered and has seen a gigantic drop in population over the last 30 years declining from around 14,000 to current figures of just over 600. The reason for the massive decline in population is a combination of habit loss, poaching and even natural drought. Once common throughout Africa the Hirola are now only found along the border of Kenya and Somalia, however it is now believed that the Somalian population may be completely extinct. The Hirola are easily recognizable by their distinct color and patterns. Sporting a light brown coat of fur the Hirola have both black and white markings. White features more than black on the Hirola’s coat, sometimes dotting the body and there is a distinct white line that traces from eye to eye on the Hirola, whereas usually only the tip of the Hirola’s tail is black. 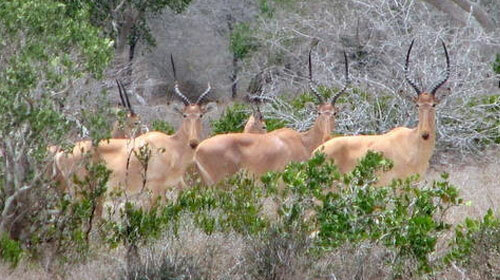 Anothetr defining feature of the Hirola is their horns which are prominent in both males and females of the species. The Hirola boast great horns that can reach up to lengths of 70cm and are essential for defense against predators and inter-species rivalries. The Hirola are active throughout the day and prefer a habitat of grassland plains. 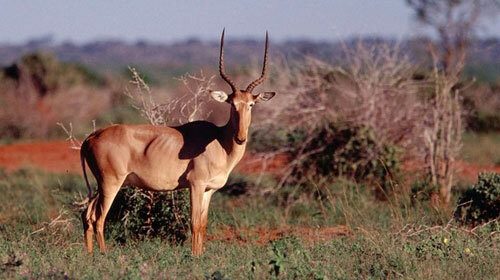 Although the preferred habitat of the Hirola is grassland plains they will usually be found in the plains with short grass as this is the preferred diet of the Hirola who generally avoid longer grass. Though the Hirola are active throughout the day most feeding takes place in the twilight periods. The Hirola tend to follow the pattern of newly growing grass, keeping on top of the short grass they prefer. Most Hirola groups consist of one dominant males and up to 8 females which other males will actively compete for, its also not uncommon to see groups of younger less-dominant males traveling and grazing together. Although the Hirola generally live in these smaller groups, much larger herds have been seen from time to time of up to 40 or 50 Hirola. The female Hirola reach sexual maturity at around the age of 2 or 3 with males reaching sexual maturity a little later at around 4 or 5 when they are strong enough to compete with other males for the mature females. After successful mating which usually occurs around March or April the female Hirola gives birth around October or November and usually only births 1 offspring. 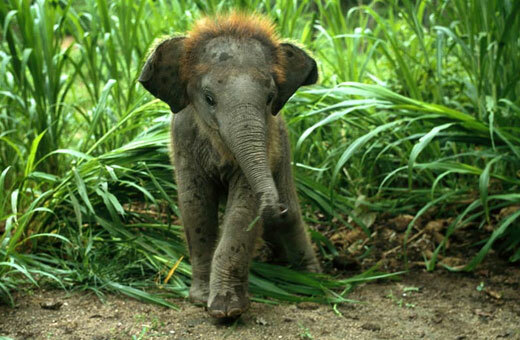 The birthing will occur away from the group leaving the mother and new born vulnerable to predators, at around 1 year the young leave the mother to join groups of youngsters. where is a Hirola found?